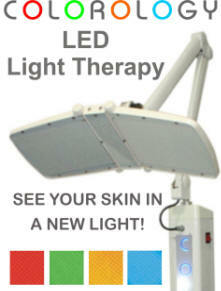 Today I have the pleasure of introducing my newest creation, COLOROLOGY - LED Light Therapy. Colorology is easy to operate and can be incorporated into your practice with existing treatments to enhance results. You can use it independently to target specific skin needs or in combination with Microcurrent, Microdermabrasion, Botox™, Fillers, Facial Peels, Lasers, Radio Frequency and IPL, the list is endless. Colorology not only has all the specific colors you need to perform individual treatments such as: anti-aging, rejuvenation, acne, pimples, inflammation, redness, pigmentation, oil control, pore refining etc. but a unique program designed by Finer for cellular absorption. This special treatment activates, invigorates and energizes the cells. Once the skin is exposed to this specific program the Colorology light permeates the skin down to the dermis layer where it stimulates circulation and the cell’s natural rejuvenation processes to increase the production of Collagen and Elastin, both of which are critical to more youthful-looking skin and a vibrant glowing complexion. This 8 minute treatment will enhance any facial, weather it be a classic hands on facial or if you are incorporating it with microcurrent, dermabrasion or galvanic. 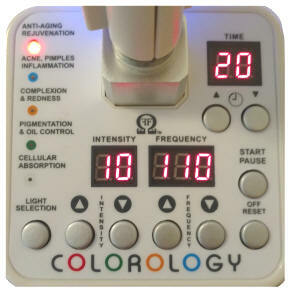 Colorology is non-invasive, pain free, and heat free and there are no side-effects, including redness or irritation. It does not produce UVA or UVB light. AND introduced to the beauty industry. LED LIGHT THERAPY - THE FACIAL DEVELOPED BY NASA!!! Beauty treatments and NASA aren't really two things you would normally associate together but NASA was the one to discover this type of treatment first. Whilst conducting experiments on how to grow plants in space they discovered that LED lights also helped Astronauts recover faster from injuries sustained during weightlessness. Trials have found that a 20 minute LED treatment over 6 to 12 week period had a positive smoothing effect in 83% of participants and improved skin tone by an incredible 91%! Another study found that 81% had a positive effect on the reduction of fine lines and wrinkles. This is only a very, very small portion of what LED light therapy can be used for and more information will be available on my website in the following week. In most cases, you will see immediate improvements after only one treatment. The skin will appear more plump and radiant, and any redness or irritation is calmed. 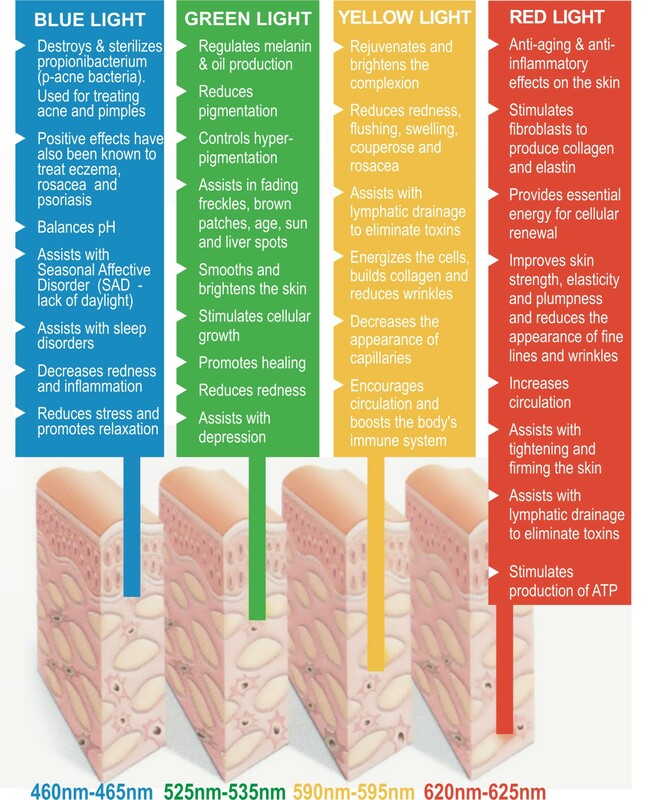 Results are cumulative, so more noticeable improvements are usually achieved in 8 to 10 LED light therapy treatments. The RED LED LIGHT penetrates the dermis and is absorbed by all layers of the skin. It is predominantly used for anti-aging although it has a wide range of other benefits it can be used for. Red LED increases collagen production by fivefold and slowing cell degeneration via the enzyme collagenase. Research has proven that red light therapy increases production of ATP (the energy engine of cells) and the modulation of reactive oxygen. It also work by targeting water layers on elastin, reducing the appearance of fine lines and wrinkles. The YELLOW LED LIGHT has anti-inflammatory properties and reduces visible redness with rosacea and other skin conditions. It improves elasticity of skin by increasing collagen in the damaged areas and helps to remove toxins by stimulating lymphatic drainage. It will assist in strengthening the muscles under the epidermis, bringing tightness back to skin. Gives luminosity to the skin. Increases vitality and a healthy glow. 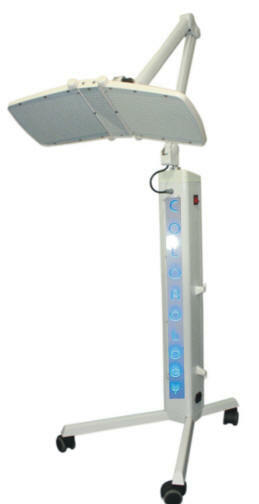 The GREEN LED LIGHT helps with skin discoloration and slows melanin production by 40 - 60%. Theoretically, green light targets melanocytes, melanin producing cells located in the bottom layer of the skin's epidermis. It will also triggers repairs in the capillary beds, while soothing redness and inflammatory problems and assist with oil control. The BLUE LED LIGHT targets the strain of bacteria that plays a pivotal role in causing acne for many people. The light causes the development of oxygen radicals that kill bacteria without damaging healthy skin. The recommended professional LED protocol for acne is 4 to 6, 20 minute treatments per week for a minimum of 3 to 4 weeks or until cleared up, followed by a maintenance treatment every month to ensure the propionibacterium (p-acne) bacteria does not return. Blue light therapy is excellent for balancing the pH balance which makes it ideal to use prior to peels, it can assist with SAD and sleeping disorders. And the fifth and final UNIQUE setting, which has been designed by Finer Face for Colorology is a rotation of all the 4 lights in one preset program. A unique program which I specifically designed for Colorology that rotates all the 4 different LED light colors every 2 minutes. 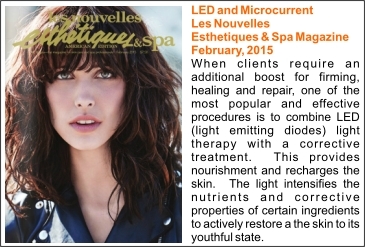 The perfect LED treatment to end any facial or microcurrent treatment with.